108 degrees. In San Luis Obispo. In late October. San Luis Obispo is known for its beauty, SLO pace and mild climate. To me, admittedly biased because I attended Cal Poly three decades ago, it's Utopia. Two weeks ago -- October 24, 2017 -- San Luis sizzled, blistering to a record high of 108 degrees. Coincidentally, my oldest son, Scott, a freshman at Cal Poly, gave a speech that afternoon. The topic: Climate change. Irony of ironies. The day and my son's speech, which was inspired in part by TED Talks delivered by Bill McKibben and Amory Lovins, reminded me of the wealth of climate change comrades in arms in our community. I engaged three colleagues to share three simple, every day tips to combat our changing climate. Eat less meat! Try just one day a week. If we all replaced beef with beans, the U.S. would meet 75% of its Paris Accord commitment! The fall season veggies are delicious! Leave the car at home and ride a bike these beautiful fall days! It's a pleasure, it spares the air, and it's good for your health. Idle off: Turn off your car engine when you are parked and using your cell phone. Ride your bike or walk to the grocery store once. Just try it out, on a beautiful day, when you don't have to buy a huge carload of groceries. Pay your gardener more to rake and sweep instead of using a leaf blower. Or gift him/her with a high quality electric blower. "Just do one thing." Many people are numbed by the number and variety of actions they can take and don’t know how to choose. Michael Pollan opined that doing just one thing, no matter what it is, gets people off the dime and moving towards doing more. Reduce heating and AC. 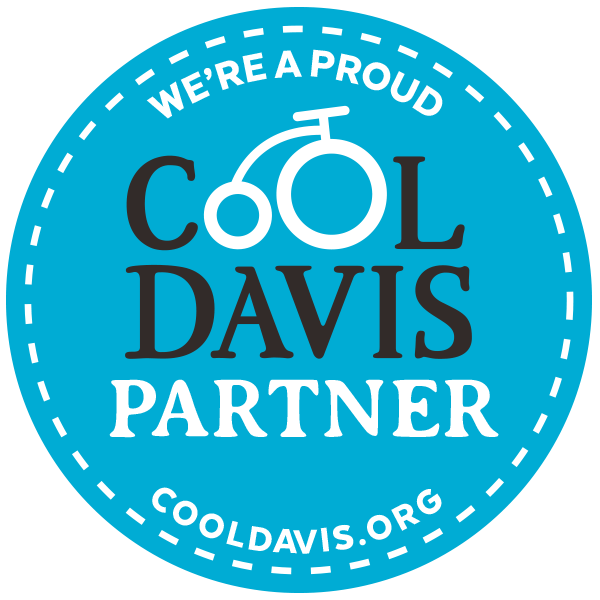 Assuming this is for folks in Davis, this is the biggest thing that is easy to do and can involve several actions, one of which should apply to anybody, old young, renter, owner; set the thermostat, check/replace your filter, open windows at night etc, for the really ambitious look into a whole house fan. When the Valley Clean Energy Alliance (VCEA) is activated in fall of 18, don’t opt out. Find out more now. Every household and business customer will be be at least 50% renewables by doing nothing other than staying in VCEA rather than opting out for PG&E. Your thoughts? Pragmatic and simple climate curing measures abound. Please share. Thanks.